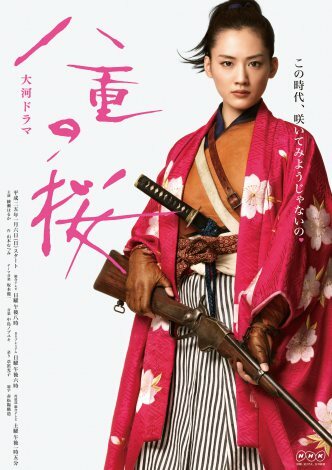 Girl with Guns for a Whole Year, NHK??? You would have to forgive me as I don’t really follow Ayase Haruka’s career, but she did kinda win me over when she played Saki on that freaking successful jdrama known as JIN , which got me to give a peak to Ayase’s pop culture oeuvre — Hotaru no Hikari, which okay. No, I couldn’t digest it. So forgive me if I’m late to the party, but- OMG! A WHOLE FREAKING YEAR! 50 episodes of a girl that likes guns? In a period setting. I love it. Plus it’s got Joe Odagiri at some point in the show. Yae no Sakura (八重の桜) might be actual must-watch TV (with worthy wait of subtitles) for, at least, ten episodes. In all honesty, I had a lot of Spice Girls fun when it happened, but the best part of the whole thing will ALWAYS be this animated GIF. Thank you forever and always, Lainey. Korea has a show called Immortal Song that basically pits popular singers performing songs of a selected theme/singer/era in front of the audience made out of people who listened to that type of music. Think of it as a show where you would gather the likes of Christina Aguilera, Justin Timberlake, Beyonce, sprinkled with a few picks like Demi Lovato and whoever people think are good vocalists nowadays, and having them competing against each other in things like “Themes from the 80s” and having all of them battle (A vs. B) with a song performance to move onto the next battle. Once a week. Yeah, impossible to do in America. But so good for ratings, no? Could you imagine? I would pay money to see Christina Aguilera vs. battling with Britney Spears — not a duet, a performance battle. Simon, get to it. Brown Eyed Girls member JeA has been on the show’s newest season, and though she lost her battle — T_T — the second half of her performance is pure perfection. She started off breathing too much into her microphone, but once the high notes began, she seemed to have gotten her footing and by the time she had to deliver those whispery notes… it was too much. JeA is singing The Winter Rain Falls (겨울비는 내리고) by Kim Bum Ryong (김범룡), in honor of this week’s 80’s songwriter theme.